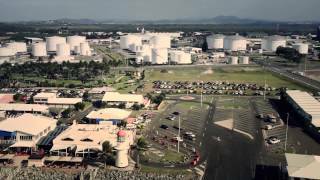 Mackay is a booming Queensland Region and the BMA Mackay Marina Run is the signature running event for the exciting and expanding city of Mackay. The event showcases the spectacular features of the tropical coastal city and celebrates the role that fun and fitness has in the community. While attracting running enthusiasts from around the country it also has a key focus of attracting first time competitors through the provision of a half marathon, an eight kilometre run, a five kilometre fun run, five kilometre corporate challenge and three kilometre junior dash. Significant funds are raised for the Leukaemia Foundation. Entertainment is provided at certain locations on the course including traditional jazz, rock n roll and folk to enhance the great feel to the event. Group $220 - $220 Includes a group of three to 10 people.